This charming rose basket makes a simple, but meaningful statement of sympathy. The soft, cream roses and fresh green ivy look beautiful together. The presentation is pretty and practical as it can be displayed straightaway. A fresh and delicate heartfelt gift. 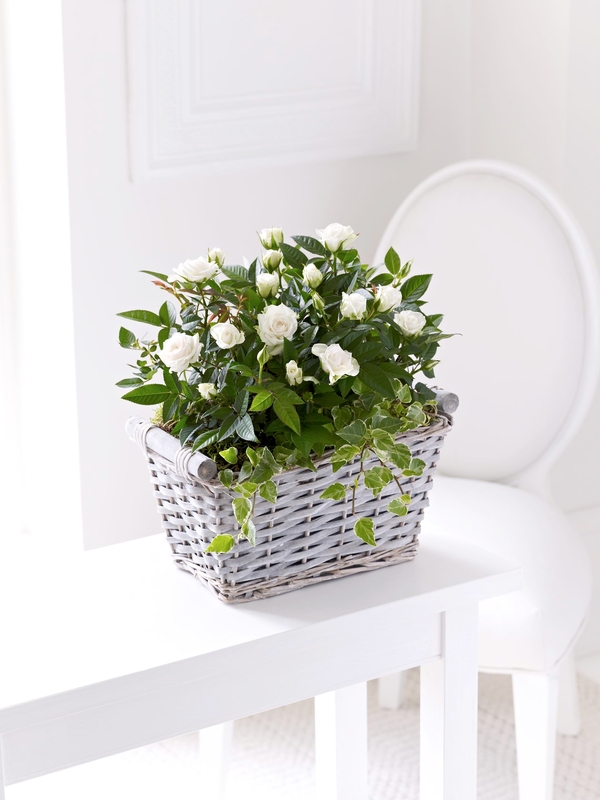 Featuring 2 cream rose plants with variegated ivy, planted in soil and moss and presented in a grey wash gift basket.